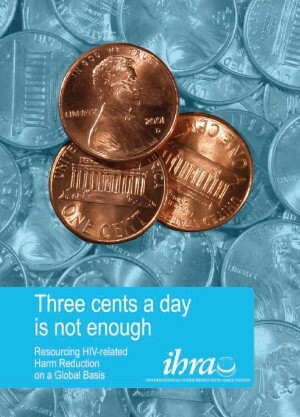 Harm Reduction International's new '3 cents' report shows the small amount of money being invested in harm reduction. It is estimated that in 2007 approximately $160 million was invested in harm reduction in low and middle income countries, of which $136 million (90%) came from international donors. This figure is certainly almost an over estimate of actual spending on harm reduction services, which would only have received about one third of this total harm reduction investment. Spending on harm reduction needs to be increased urgently and dramatically, especially for direct frontline services.